Networking is one of the most important things you can do in business. Meeting people who can help you reach your goals doesn’t just help you as a professional, but also helps you as a person, allowing you to expand your social circle and enjoy the company of more and more like-minded people. 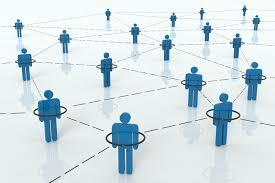 Most people now are aware of the potential for networking using social media sites. Nearly all businesses have a profile on Facebook and a Twitter account. However, social media networking goes beyond the two big social media platforms and encompasses far more than having followers or posting statuses. Craigslist is a site where people sell things, post job opportunities, advertise for roommates and much more. Of course, when you sell something or advertise a service here, there is definitely the opportunity to get to know the customer, because Craigslist unlike eBay tends to focus on local sales and interactions. You may not think it, but you can network very well with the people you meet through Craigslist sales, and can become quite easily acquainted with people you have sold things to or bought from due to the local nature of the site. Use Zoom The List to get even better Craigslist filtering and search options, and you can easily find people with similar interests to you and what your business does. Reddit is a great platform to network on as it has ‘subreddits’ that cover just about every field of interest there is. While people tend not to promote themselves or their businesses on Reddit, the communities for each topic are self-moderated and so it can be a good place to find out what your target audience are thinking, or to make friends with people who are likely to be useful to what you are doing. Reddit tends to be fairly friendly as an online environment and most people on any given subreddit are passionate about the topic being discussed, so being an active participant here is a good way to meet people you’d like to have in your network online. Pinterest was originally just a site where people could save things they found online that interested them and share them with others, for instance recipes, clothes they’d like to buy, wedding ideas, and cool artwork. Now, however, it has become a major social network and also a good marketing tool. Creating Pinterest boards relevant to your area of business and interacting with others who have boards that interest you can be a good way to make connections online and also find out some interesting things. With a good Pinterest account you can inspire and reach people, but you are also able to engage with those people through messages and network. These are just three of the sites you can use to further your business networking beyond Twitter, Facebook and LinkedIn.